The Republican National Convention will be landing like a ten ton hammer on poor Cleveland, Ohio. It's gonna be a rowdy time, but before all that ... we will know who Trump has chosen as his VP and begin to see a clear picture of who he'll go up against Hillary with. A VP pick that shores up a specific state - ideally a swing state. For example when Mitt Romney chose Speaker Paul Ryan to help bring in Wisconsin into the winning column. That didn't pan out as they went on to lose on Wisconsin's 10 electoral votes. A VP chosen to heal the wounds of the primary and bring together various factions of a party.For example when Reagan picked Bush Sr as his VP. Bush came in second to Reagan in the primaries, not conceding until the end of May. Reagan wanted to emphasize that the Republican party was all one big happy family. So who is The Donald looking at and where do those on the shortlist fit in to the above categories? More over ... who is he going to pick??????? 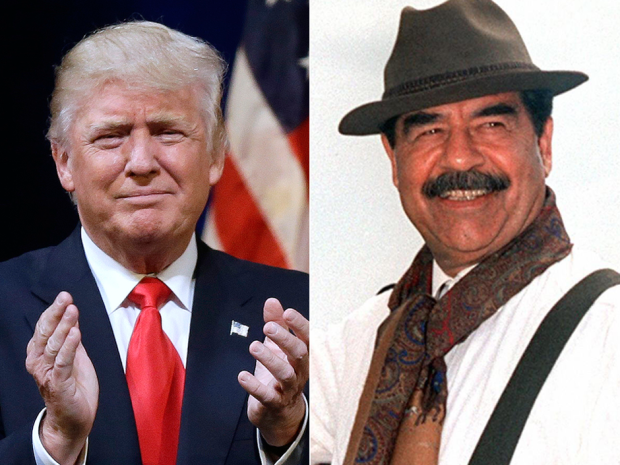 We know the presumptive Republican candidate has said he is looking for a running mate who has something he lacks - political experience – and if the people who appear to be undergoing the vetting process are an indication, that’s exactly what is happening. Christie proved his talent as an attack dog in the New Hampshire primary, lacerating Florida Sen. Marco Rubio in a debate. Christie is also media savvy and a skilled fundraiser. He is deeply unpopular in his home state, which strongly favors Democrats for president. Christie’s temper can be volatile, and critics say he’s a bully. The bridge scandal could also prove troublesome; Trump himself has cast doubt on Christie’s assertion that he knew nothing of the lane closings. The Former Speaker of the House has been a pain in the Clintons' side for decades, and clearly has extreme insider knowledge of how things work in the Beltway. With little to lose, and much to gain, Gingrich has been one of the most enthusiastic about the prospect of being Trumps VP. Telling Politico "If Trump offers the position and is serious about it, which I think he would be after our conversations, Callista and I would feel compelled to serve the country." 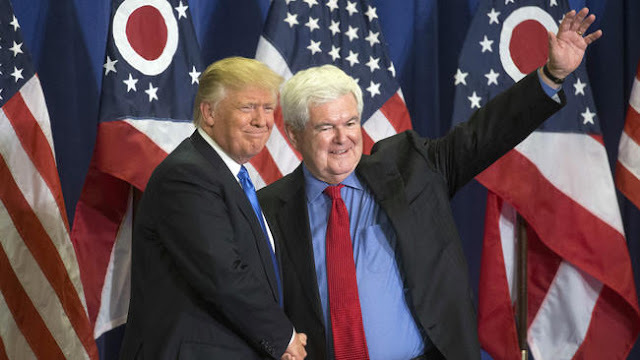 Trump has sought a running mate who knows how Washington works, a key asset for Gingrich. He is the consummate insider, yet his blunt talk can come off as anti-establishment, a fitting quality for 2016 and the Trump campaign. He’s a being down the campaign trail before and is known as a sharp debater. His age, ethical lapses (He resigned after a House reprimand for ethics breaches and embarrassing losses in the 1998 election.) He would also bring to the ticket a stormy marital history (3 marriages and cheating scandals to be exact) and out-sized ego. A Former federal prosecutor and one of the Senate’s most conservative members. He jumped aboard the Trump train quickly becoming one of Trump’s top supporters in Washington. Some of his aides have even gone to work for Trump. President Reagan nominated Sessions to become federal district judge in 1986, but he failed to win confirmation after Senate hearings explored allegations of racism, which Sessions vehemently denied. Sessions is among the most hard-line opponents of illegal immigration, which would play to Trump’s base. He also has the federal lawmaking experience that Trump is seeking, as well as the fierce loyalty that The Donald demands. 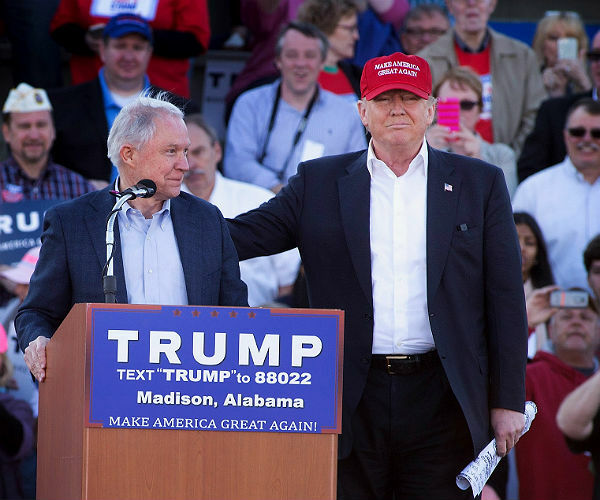 Sessions would offer Trump a very limited, if any, ability to expand Trump’s base of conservative white voters. 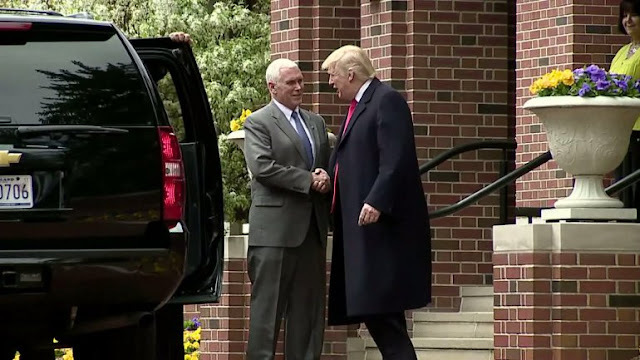 Most of us are a bit surprised at the Trump campaign’s interest in Pence as he endorsed Texas Sen. Ted Cruz during the Indiana’s Republican primary. Pence, a staunch conservative, is rumored to be strongly supported by the right wing’s most far right members. He told reporters Monday that he's prepared to make the "case" for the presumed GOP presidential nominee "anywhere across the country that Donald Trump would want me to." Trump hopes to win the presidency with stronger support than Republicans normally get in the industrial upper Midwest. But Indiana — unlike such nearby states as Ohio and Michigan — leans Republican in presidential elections, so Pence’s presence on the ticket could produce little, if any, regional edge. So that's our short list for the Donald. Considering demographics the electoral map favors democrats. So this year swing states are even more important. Unfortunately solid picks like Marco Rubio (Florida) and John Kasich(Ohio) have both expressed no interest. Perhaps because they'd like a political future past 2016. We honestly can't think of a viable geographic pick that would be interesting in joining or that the campaign would go for. Mike Pence would offer a bit of compromise to evangelical Christians, whose support is paramount to Trump. He is respected by party elites and loyalist and could go a long way in bringing the much needed unity the Republican Party desperately needs. Christie and Gringrich come with baggage, but they have chemistry and a connection with Trump. He is the ultimate vote - so previous VP pick archetypes be dammed. The way we see it - if he goes with brain - He'll pick Pence. 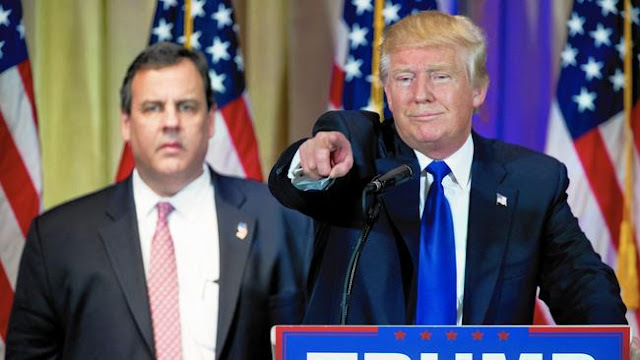 If he goes with his gut - he'll pick Christie. Going with our gut --- we think he'll pick Chris Christie. To be completely transparent - this is Trump we're talking about. He's anything but conventional or predictable ... so maybe he'll pick his daughter Ivanka. I will be making the announcement of my Vice Presidential pick on Friday at 11am in Manhattan. Details to follow. 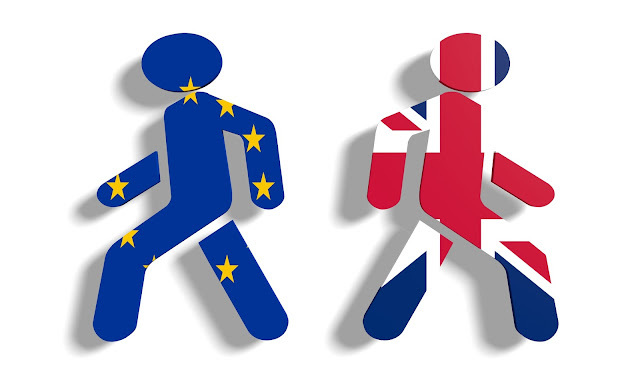 What the heck is Brexit and why should we care?